Portable, high accuracy digital conductivity meter for really accurate measurings. It is essential for professionals, but due to it's simplicity, it can be used by beginners as well. This EC meter is a device to measure the electrical conductivity in a solution with measuring range 0 - 1999 μs/cm. Electrical conductivity measures ability of a material to conduct electric current. The lower the EC levels, the higher the purity of water is. The commonly measured unit in EC is microSiemens per centimetre (μs/cm). 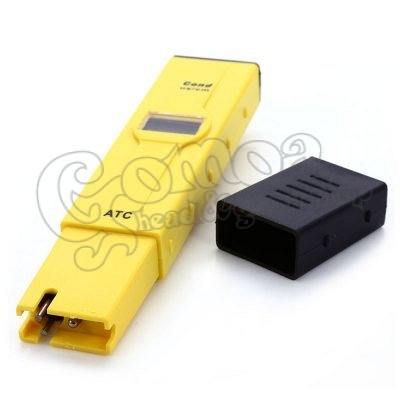 This EC tester is also equipped with Automatic Temperature Compensation (ATC) for more accurate measurements. The digital LCD display also has backlight fun ction, to help users to do testing and measurement even in dark places. It can be used by professional gardeners for testing water for watering or hydroponic tank water for mineral content. 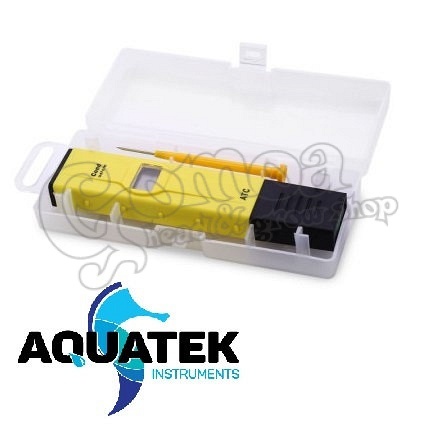 This high accuracy conductivity meter is also very useful for testing tap water for hardness and purity. It can be used in schools for educational purposes, or in laboratories too. Easy to use, easy to maintain. Instant results. after a few seconds read the results from the digital display.